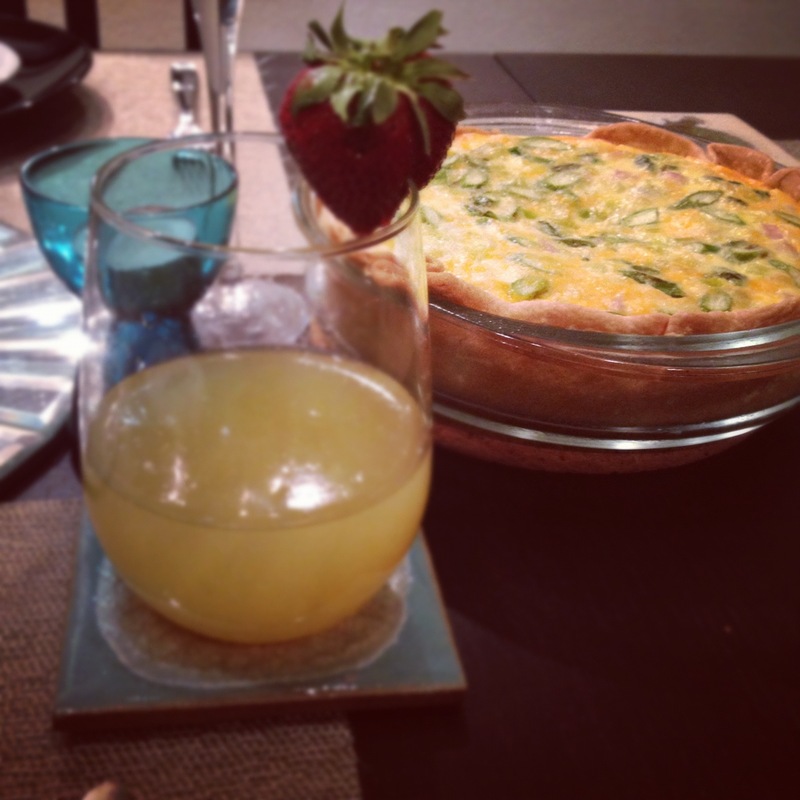 Whenever I'm hosting or attending a brunch, my immediate thought is always to make a quiche. Sometimes I worry that it's boring, and I should try something a little more out of the box. Which usually results in some kind of scone. Until now, because after making this incredible quiche I officially never need another option again. I will make this each and every time...and you should too! I'm convinced everyone loves quiche. Maybe it's just a woman thing. Once you've washed and chopped your leeks and vegetables, sautee in about a tablespoon of butter, a little olive oil and some salt and pepper. Be warned, the smell is amazing, and this is about the point you will start getting hungry. Hour to go (terrible news, I know). When it comes to making quiche crust, I honestly feel like store bought is almost better than homemade. That might be my rookie crust skills talking, and one day I'll get on Martha's level and start making my own. But until then, I'm thankful for you, Pillsbury. I like thicker cut ham in my breakfast foods, which means either buying a huge Costco sized ham (which I've been known to do) or buying one of those ham steak slices. Which worked perfectly for this recipe. Once it's cut in smaller pieces, throw it in the pan with the veggies while you beat your eggs and milk, and grate the cheese. Egg mixture & cheese mixture goes in the dish, followed by everything in the pan. Then straight into the oven for entirely too long, this is no Rachel Ray 30 minute meal. In all its puffed up glory. This recipe best served with mimosas (90% champagne, 10% Dole Orange Pineapple juice) and a few great friends! - In a large skillet, melt butter, drizzling a bit of olive oil in the pan as well. - Add leek and asparagus, seasoning with salt and pepper. - Cook, stirring occasionally, until asparagus is crisp-tender, 6 to 8 minutes. Add ham. - In a large bowl, whisk together eggs, half-and-half, 1/2 teaspoon salt, teaspoon pepper. Mix in cheese. - Place pie crust in a pie dish, glass or metal. - Pour egg mixture into the pie crust, adding the meat & veggie mixture after. - Bake until center of quiche is just set, 50 to 60 minutes, rotating sheet halfway through. - Let stand 15 minutes before serving. Always have to include mimosas! Haha the food tastes way better that way I swear! This looks delicious! I LOVE quiche! I so need to make this for you guys one time! We should do brunch, you bring iced coffee & I'll bring quiche?